Playing golf is my passion. Growing the game is my mission. Chances are your not even aiming towards your target. The easiest way to see if you are aligned correctly is to take your address position and have someone behind use clubs to see where your line is. 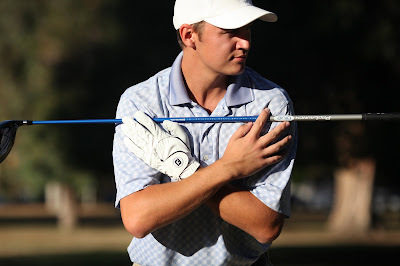 Step away from your address position and have your friend hold the two clubs in the air. Take a look to see where exactly it is you are aiming. Chances are your not aiming at the target. !!! If you tend to hook the ball you will probably be aiming your shoulders to the right of the target. !!! !!! 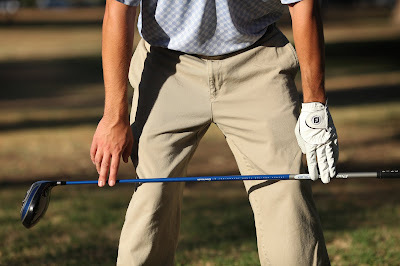 If you tend to slice the ball you will probably be aiming your shoulders to the left of the target. !!! 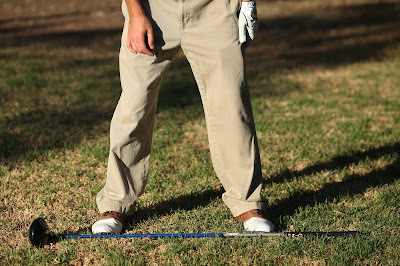 The knees and stance do play a part in the type of shot you want to play whether its a fade or draw. The majority influence of the ball path will come from your shoulders. Next time your having problems hitting the target make sure you check your alignment. Having a good shot pre-shot routine will cure many of your miss hits. The key is to check where your shoulders are aiming at before you hit the ball. Make it a habit and you will improve your accuracy tremendously. Copyright © 2011-2019 Fil Falcon, Professional Golf Teacher, Horseshoe Lake Golf Course, Port Orchard, WA 98367. All Rights Reserved.